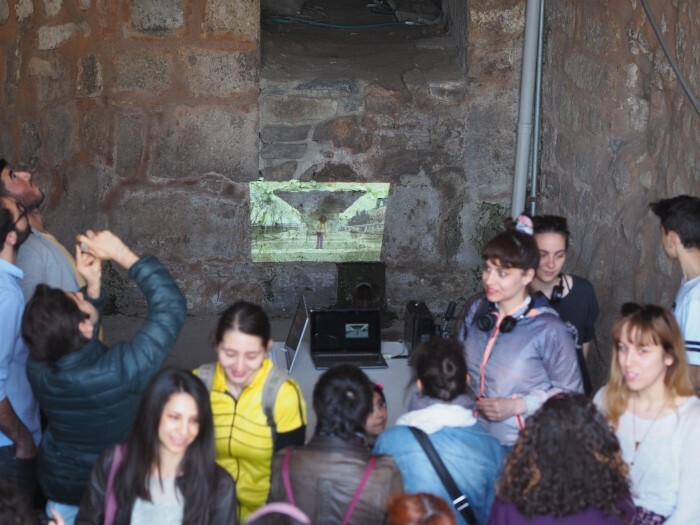 Concepts of space, body, extension and memory which are analyzed through wood breaking by six performers in different parts of the city are to be brought into view with the help of three projectors installed on the performance area. The image of the permeable and convective city is conveyed through the relationship between body and space in the videos. Space is relocated along with our memories; they match with new space and new memories are created. Videos are recorded in such places as cafe, tram station, pier, dark streets. In these places, the answer to the question of the possibility of experiencing a different process by women and by those who had the experience of womanhood where they become subjects, is being sought. 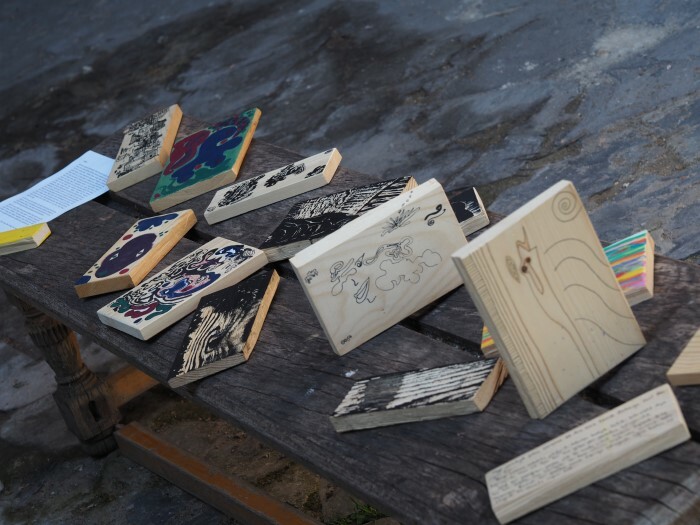 In this experiment process each wooden piece becomes an object of art. Stories told by them reflect the memory of the performing subject and her power to transform objects. 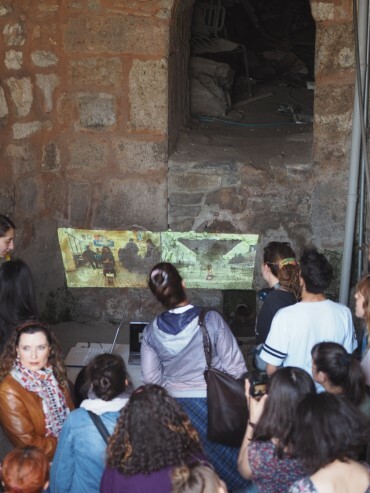 Through the installation of videos in the yard of Tophane-i Amire, the city and memories of those bodies engaged with the city are moved in the garden of the museum. A perfomance is displayed in an altar area which is built over the empty space in the middle of the installations. In these performances the audience’s location is intertwined with that of the performer. The body entering the altar area becomes a part of the group by means of collective cognitive power transfer from other bodies and it will notice that it may unblock itself as it wishes. The hand with the wood, the wood with the sound, the sound with senses, senses with extensions all interact in the course of wood breaking. The use of voice brings in visibility as a new sensation and the space creates a new structure in its relationship with the subject who experiences the space beyond its physical presence. As structures are transformed, so do our lives. 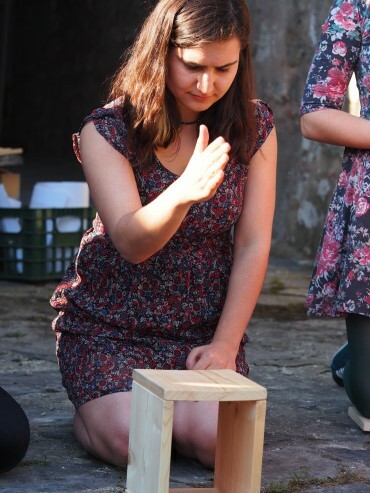 NOTE: The act of wood breaking is an experience which we learn from each other and makes us feel different when searching for the ways to unblock and empower ourselves as women, lesbians, trans individuals. The main target of this defense mechanism used by women, lesbians, trans individuals is to stop violence before it turns into physical violence. 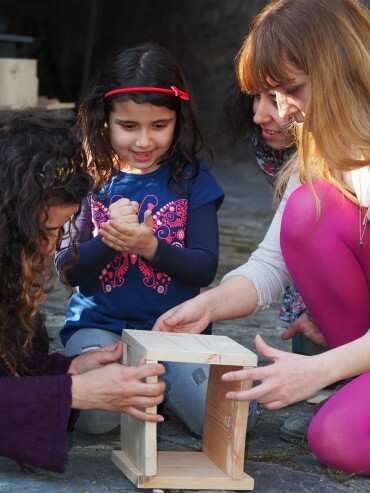 Ayça Ceylan, Dilara Kızıldağ, Efsun Uysal, Meryem Güldürdak, Selin Gündüz, Şehlem. *Latent: To be in the state of sleep and to build capacity when conditions are met.